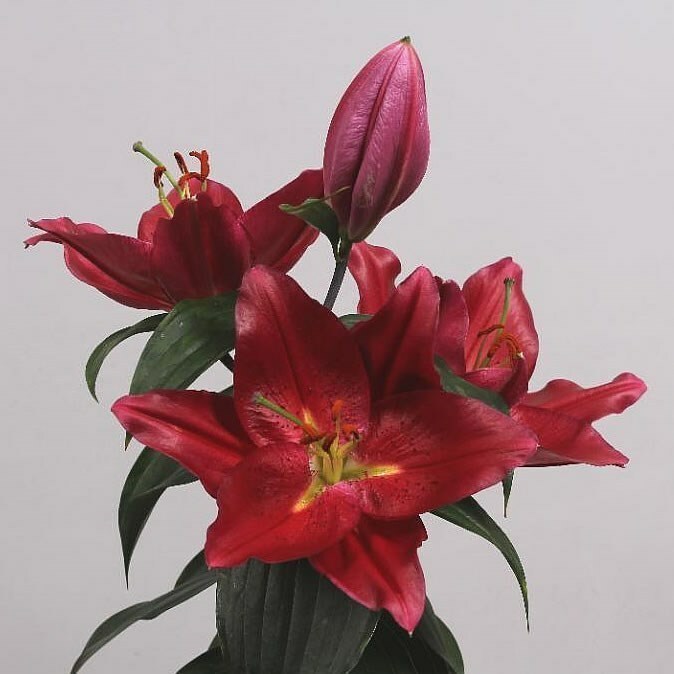 LILY ORIENTAL - PICO is a Red sweet scented Cerise/Red cut flower. Approx. 85cm and wholesaled in Batches of 10 stems. NB. the Lilies need time to open as they arrive in tight bud.